it feels like we are. “You are day-dreaming about the future because you have not tasted the present. “This now is it. This. “Peace can exist only in the present moment. 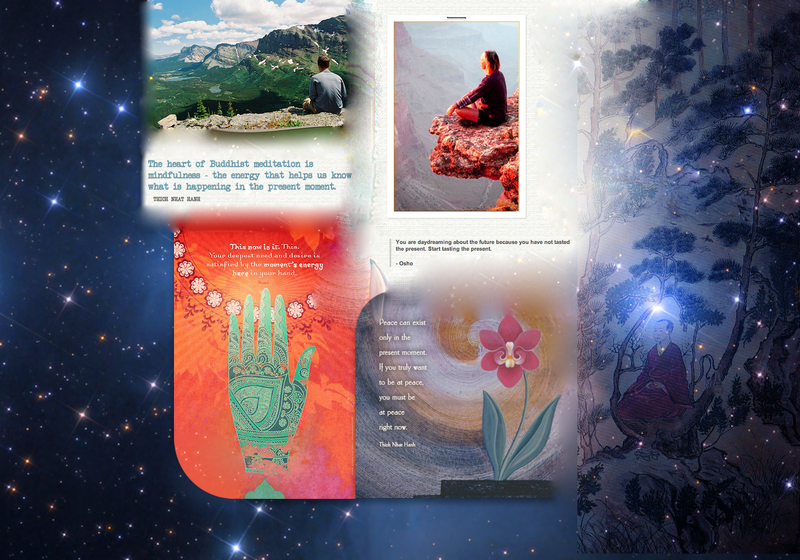 Graphics from BabyDoll1976, UrsusVeritatem, BuddhistVibes and RedBubble, all via BakuKadampa on Tumblr. I do like meditating in the sunshine. And you’re right, it is a different experience. Haven’t tried it on a mountain yet. But I used to sit on the roof of my parents’ house, leaning against the chimney stack. They live on a hill, and the height definitely gave another aspect to contemplations. hmmm, resolution n file size reduced but it hasn’t helped much for viewing the image itself. I’ll add the texts at the bottom. Wicked! The included text is a advantage, thnx. I think YEA! thank you for the treat of my mornng. what a validation. Thank you for the Rumi and Thich Nhat Hanh quotes. I always find them inspiring. They both a a beautiful way with words, don’t they. Yes and their words transcend time and culture.